Bean Boy is reminiscent of the old Stretch Armstrong toys. His arms and body can be stretched and contorted. He bounces off the walls like he is made of rubber. Can Bean Boy make waves in his jumper mobile game? Bean Boy is an endless jumper game. Your goal is to get Bean Boy as high up as you possibly can without falling. The game gets a little tricky in the fact that only your previous platform is there to stop your fall. If you ascend really high up and miss your last platform you have to start from the bottom again. Don't worry though if you fall from a high enough distance, as you make your descent you are given the opportunity to collect stars that can be used to rocket you back up to higher heights. Having a mini-game for failing is a pretty cool concept that doesn't make you feel as bad about missing a jump. Jumping in the game is very easy. You touch and pull down on Bean Boy and are able to direct his trajectory. He bounces off the sidewalls and will hold on to any corners he can grab. How you pull down will effect how far he jumps. Bean Boy's content is pretty limited. There are no extras or unlockable content and there is only the one mode of play. The collecting of stars while jumping feels like a moot point because the stars only allow you to rocket up to a certain height and while that is well and good you aren't actually achieving a good run by boosting up. If the stars allowed you to unlock other things they would be worth trying to get more of. 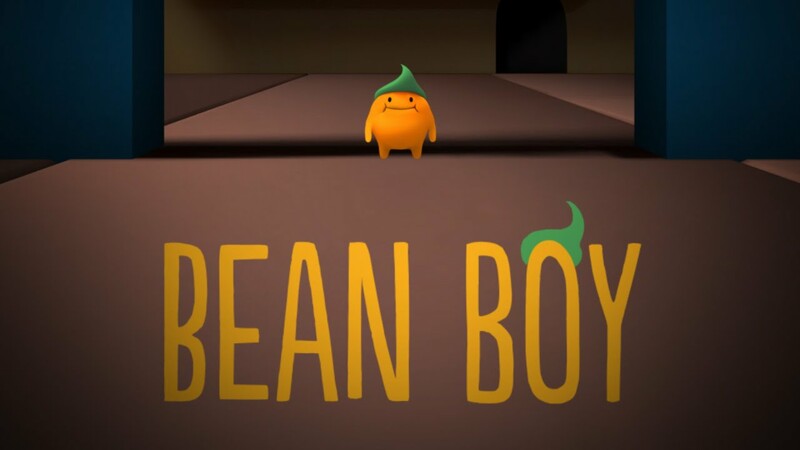 Bean Boy is a fun and pretty addicting game. It is very easy for anyone to pick up and play. There is not much to keep you playing though as there is no extra content and the game tends to be a little too easy.